Installation - fits almost all guitars. The posts are 3/8 and fit a hole drilled as 10mm or 25/64". Everything you need to install is included. 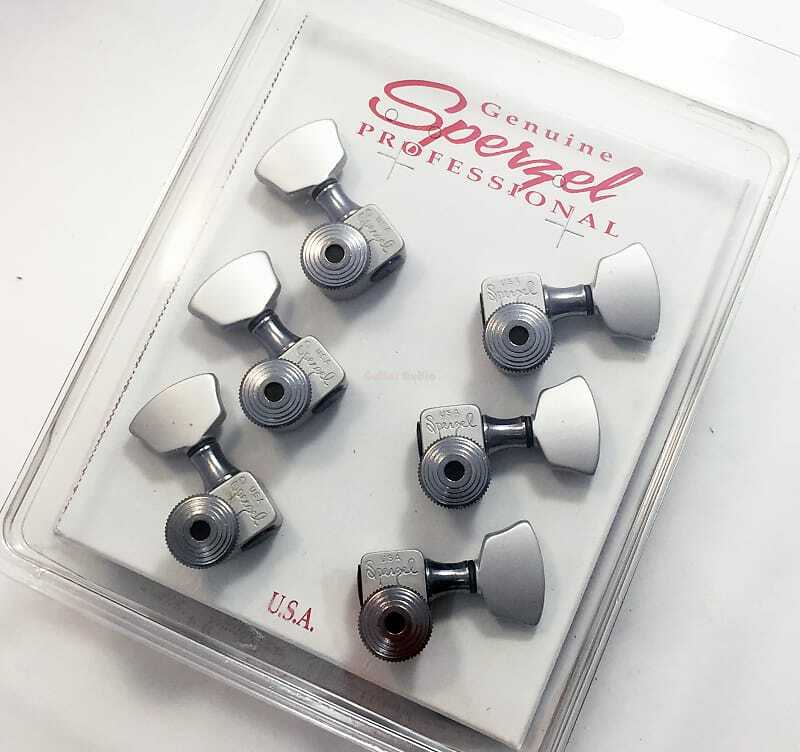 Sperzel tuning keys are machined from solid billet aluminum for light weight and held to precise tolerances and quality checks to produce a precision tuning key that eliminates shaft wobble, endplay and minimum backlash. The Trim-Lok model offers no tying or winding around string posts, greatly improving your tuning capabilities for playing style and enjoyment. Rid yourself of Tuning Torture Syndrome! Trim-Lok is the ultimate in tuning keys. The locking feature eliminates the need for multiple string wraps, and trem users no longer need a locking nut that deadens string sustain and all annoying Allen screws and wrenches (added weight). Tired of tying strings? This is the answer. This model is proven to hold strings tightly, allowing the guitar to stay in tune to improve playing enjoyment. The Trim-Lok is a mechanical type locking system that can be used on ANY guitar, including non-trem or acoustic. Most orders ship out within 24 hours. Customers located outside the United States may be subject to taxes or import fees.